I was very surprised and quite touched to receive a nomination for a Liebster Award from a young lady called Almaas Khan, a 16 year old living in Dubai, and I thank you most sincerely for that Almaas. The Liebster Award is given to up and coming bloggers who have less than 200 followers and is named after the German word ‘liebster’ meaning ‘kind, valued, beloved, endearing, welcome’. Blogging is about building a community and I’m finding that it’s a great way to connect with other bloggers and if this award is something that will help spread the word about other bloggers or blogs then I am happy to receive it. 1) How and why did you choose to write on the topics that you currently write on? 2) How do you usually react to negative criticism? 4) What sort of surrounding do you prefer to write in, or are you unaffected by the surroundings? If I had my choice it would be in some sheltered, sunny spot with my pens and pencils all sharpened looking out over an idyllic meadow scene; headphones on playing some of my favourite instrumental music. However, it’s often scribbling on a notepad, balanced on my knee wherever I happen to find myself when an idea comes to me! 5) What has been your most successful post and what do you think the reason for that is? My only question would be to ask what motivates you to write your blog? 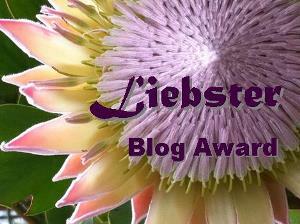 Liebster Award – Discovering new blogs! This entry was posted in Ministry and tagged Blog, Liebster Award on December 20, 2013 by lindasgalvin.